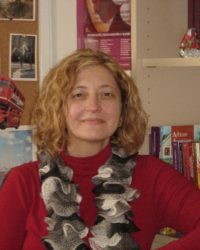 Mar Gallego Durán has taught American and African American Literatures at the University of Huelva, Spain, since 1996. She obtained her Ph.D. degree in 1997 and was awarded fellowships at the Universities of Cornell, Northwestern, and Harvard. She is currently director of the Research Centre on Migrations at the University of Huelva. Her major research interests are African American Studies and the African Diaspora, with a special focus on women writers and gender issues.